Susan Carol Alpert Davis was born April 13, 1944, in Cambridge, Massachusetts, the daughter of Dorothy M. and Dr. George R. Alpert. All of her grandparents were Jewish immigrants from Russia. She grew up in Richmond, California. Susan graduated from the University of California at Berkeley with a degree in sociology. She then earned a master’s degree in social work from the University of North Carolina. After graduation, Susan and her husband, Steve, were stationed in Japan with their two children, Jeffery and Benjamin, while Steve served as a doctor in the Air Force during the Vietnam War. Davis says her interest in public affairs grew out of her experiences as a social worker, parent, youth mentor, and military spouse. She became active in politics through her membership in the local branch of the League of Women Voters, of which she became president in 1977. She was elected to the San Diego School Board in 1983. She served there until 1992, including two years as president of the body. In 1994, she was elected to the California State Assembly, and was reelected in 1996 and 1998. In the Assembly, Davis chaired the Committee on Consumer Protection, Government Efficiency and Economic Development. She authored a state law giving women direct access to their OB/Gyn doctors without requiring a referral from their primary care physicians. Other legislation she authored established the right of a patient to obtain a second medical opinion and allowed frail senior citizens to remain in their homes while receiving state-funded nursing care. She introduced laws to reward high-achieving teachers and to establish after-school programs at public schools. In 2000, Davis challenged three-term Republican incumbent Brian Bilbray in what was then the 49th District, winning with 50 percent of the vote. Her district was renumbered the 53rd District after the 2000 Census redistricting and made somewhat more Democratic than its predecessor. She has been reelected since then, most recently winning in 2018. Davis introduced a federal version of the California OB/Gyn law she authored at the start of every Congress from 2001 to 2009. 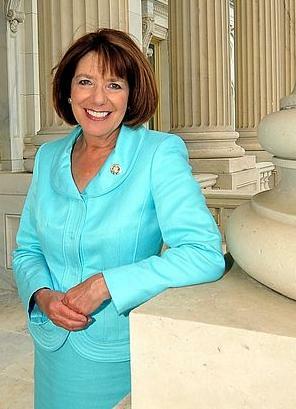 Provisions of her OB/Gyn bill were included in the health care reform bill enacted into law. Davis is a member of the New Democrat Coalition and portrays herself as working across party lines. She serves on the House Armed Services Committee. She also serves on the Education and Workforce Committee, where she is the Ranking Member of the Subcommittee on Higher Education and Workforce Development. Susan and her family have lived in San Diego since 1972.